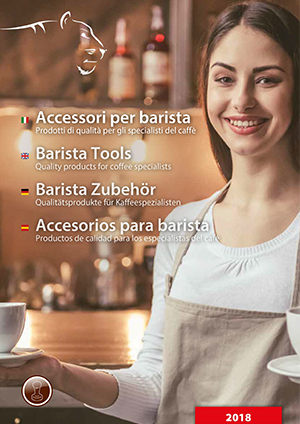 Our extensive range of barista tools includes not only very unique coffee machines, but also portafilter baskets and coffee pots, cups, spoons and many other items that make any barista's heart beat faster. The items are available in the neatly designed catalogue where plenty of additional information is provided, as well as directly via the buttons in our shop. We strive to offer you new items as quickly as possible. This is why only the basic information and images of the items are provided in the shop for now. If you have any questions about the items, please do not hesitate to contact us. We would gladly assist you!